Man, how did we ever get through our awkward school years? 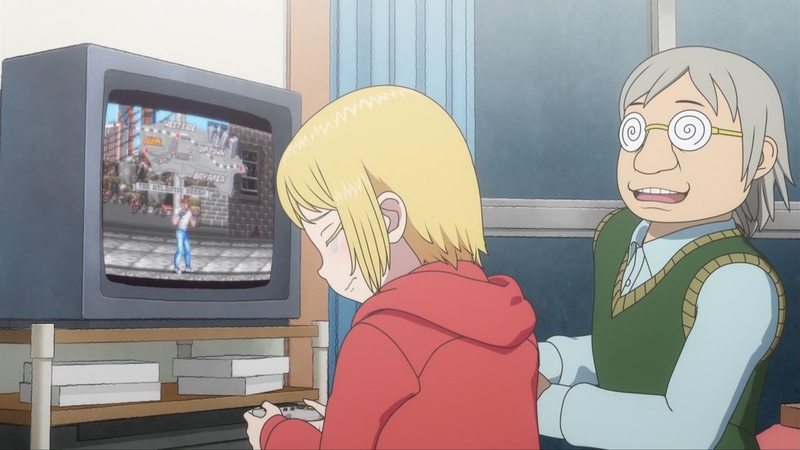 — Koharu got a copy of Final Fight for the Super Famicom just so she can play with Haruo. You really gotta feel for the girl, but at some point, she needs to take the direct approach. I know we all want the object of our affection to naturally fall in love with us as if it is always meant to be, but that’s just not realistic. — Also, wasn’t the SNES version of Final Fight terrible? This was back when the Genesis (or Sega Mega Drive) was getting superior ports of all the arcade games. — Haruo ends up asking if he could borrow the game instead of coming over to Koharu’s house to play it. Welp, I guess I’m not surprised. — Haruo finally finds out that Akira was the Akuma (a.k.a. Gouki) player that had mopped the floor with Koharu. Even when it comes to secrets, she finds out about them first. Y’know, he’s not so different from the others. 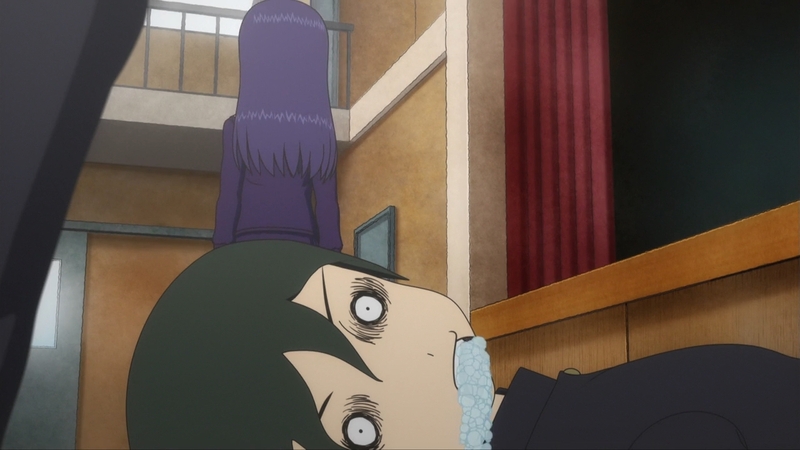 He, too, is in awe with Akira’s apparent perfection. The only difference is that he knows about her secret love affair with video games and very few others do. 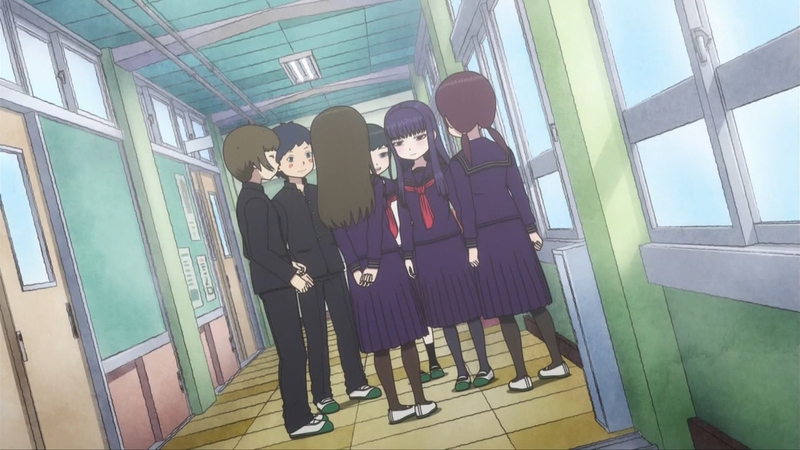 — When he walks out into the hallway, he sees Akira being mobbed by a bunch of classmates. She has to talk. There’s no way she doesn’t talk. She would be seeing a psychiatrist if she literally never talked. Hell, why would kids continue to try and be her friend if she doesn’t talk? 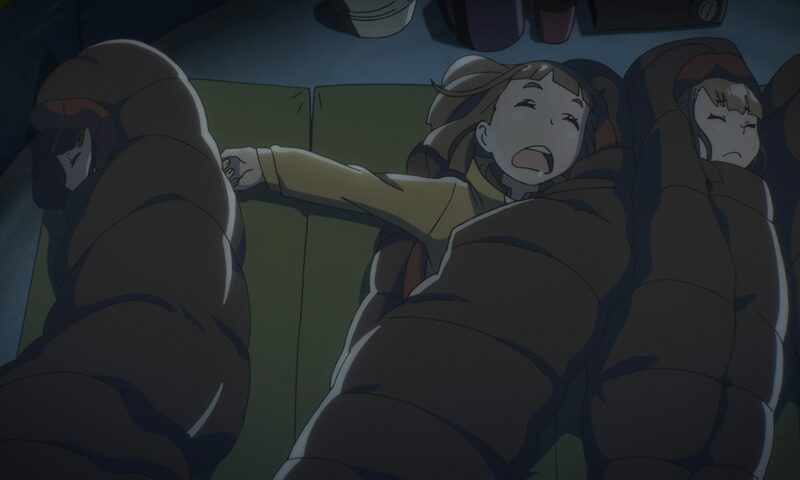 Kids are cruel, and they’d probably start making fun of her if she literally never said a word. 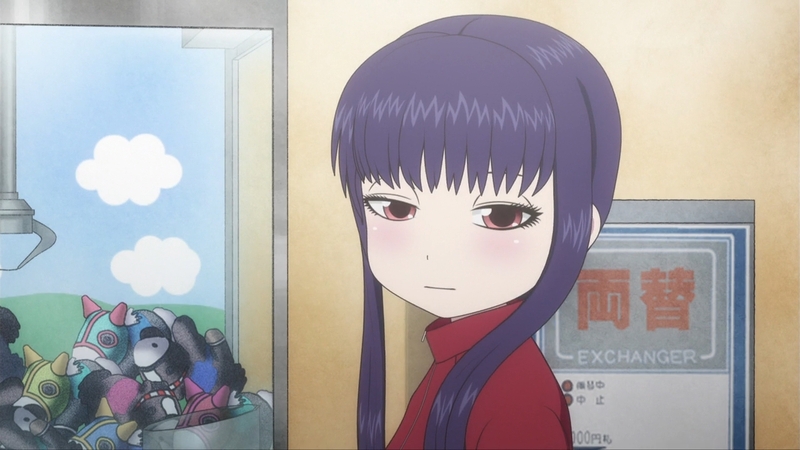 I’m just going to choose to believe that she just never talks with Haruo. — I’m kinda torn on these sequences where Haruo goes off on a wild tangent about games. On the one hand, I don’t find them remotely interesting. Hell, I’ve never even heard of these games. 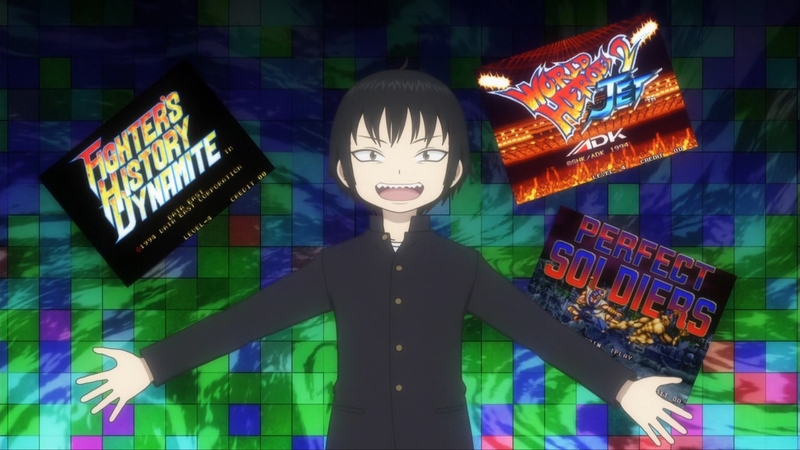 But on the other hand, these sequences really do lend credence to the idea that the kid is one major gaming otaku. — To be fair, I probably wouldn’t mind Haruo going off on the deep end if he was talking about games that I love. But I guess I’m too much of a normie, since I was playing Zelda and Final Fantasy in the 90s. — Akira’s slowly walking towards Haruo’s location while he’s neck-deep in his video game fantasies. 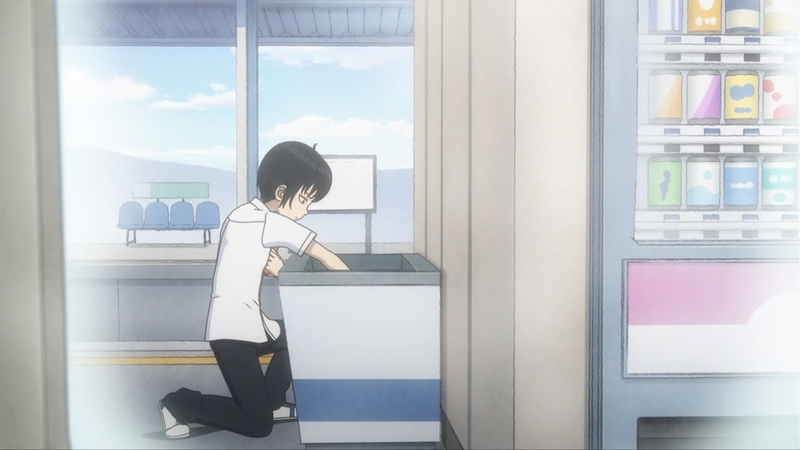 When he finally snaps out of it, he finds himself in an awkward situation: he has front-row seats to a boy attempting to ask Akira out. 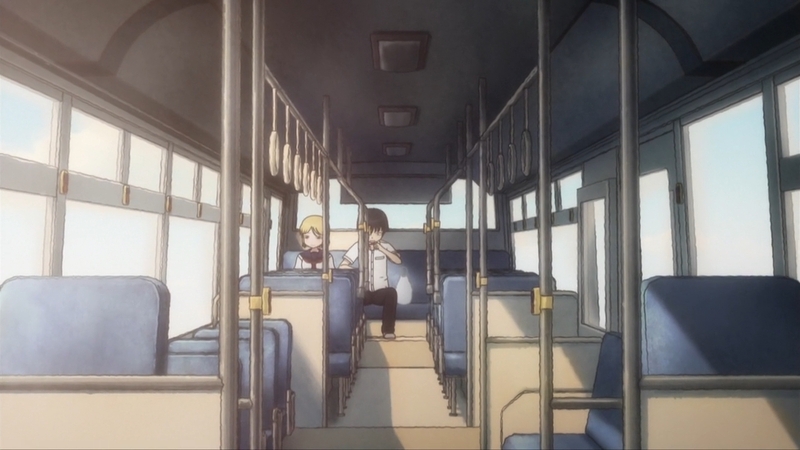 — After Akira gives the kid no response, he suddenly turns around and confronts Haruo. He wants to know what sort of relationship he has with Akira, since there are rumors of the two of them hanging out together. Needless to say, I never expect a gaming otaku to have a way with words. — What’s cute is that Akira is also eagerly awaiting Haruo’s response. Sadly, this just means he’ll probably stay something stupid. When the main character has such a golden opportunity to impress the girl that he likes, he’ll always fumble the chance. 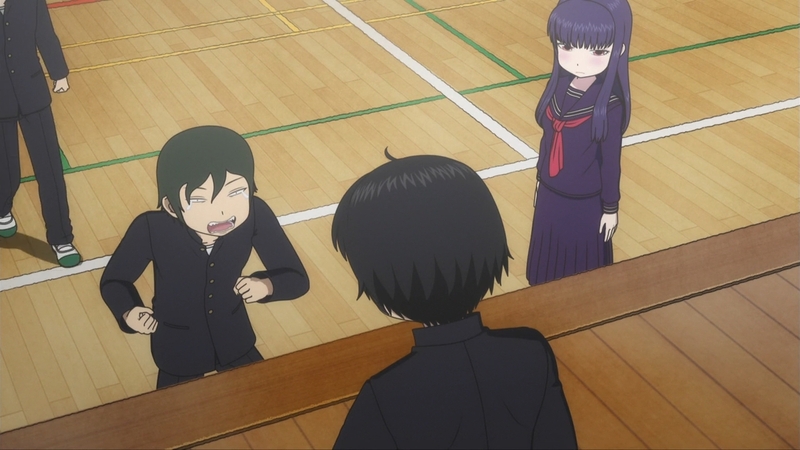 — Judging by Akira’s reaction, we can tell that Haruo had given the wrong answer. — Plus, we might find her angry reaction cute, but I feel for the girl. She’s been treasuring his ring since that day at the airport. Haruo doesn’t know that, but still, for Akira to come back after all these years just to hear the guy call you a thorn in his side… well, that has to hurt. — Someone get this kid some help. — Speaking of Akuma, do you guys like his current design? I think it looks stupid. He looks like he has a lion’s mane. 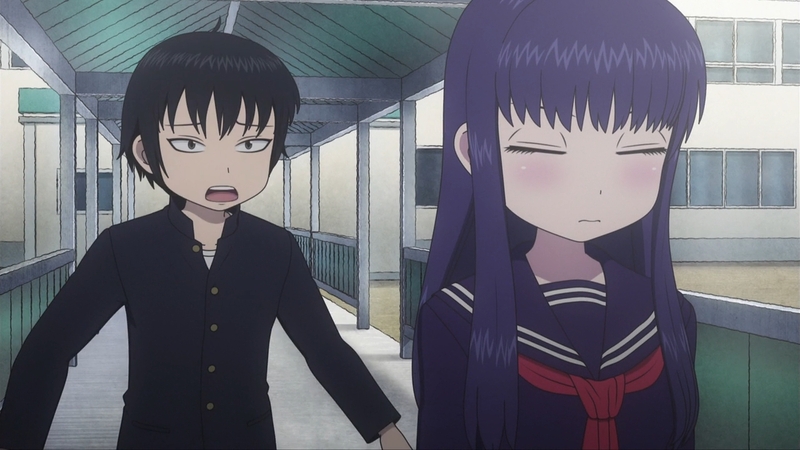 — As Akira continues to angrily walk away from Haruo again, he thinks to himself that the girl doesn’t make any sense. Long after school has ended, he’s still thinking about her. He’s so irritated with the fact that he can’t understand Akira, but he still doesn’t know why he feels this way. He’s going to look back to this moment one day and mentally kick himself. Maybe. — All of a sudden, Miyao tells Haruo that he wants to try and confess to Akira, too. You guys are weird. 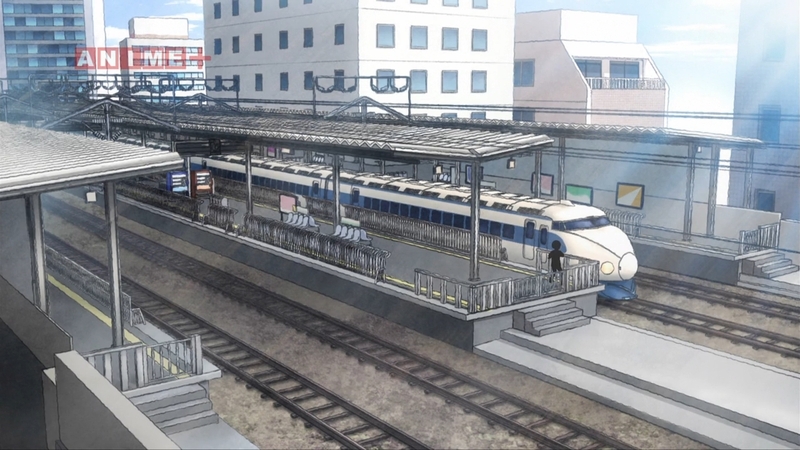 — There’s always at least one train otaku. — The kids are headed off to Kyoto for a school trip, and as expected, the teachers will confiscate any electronic devices. 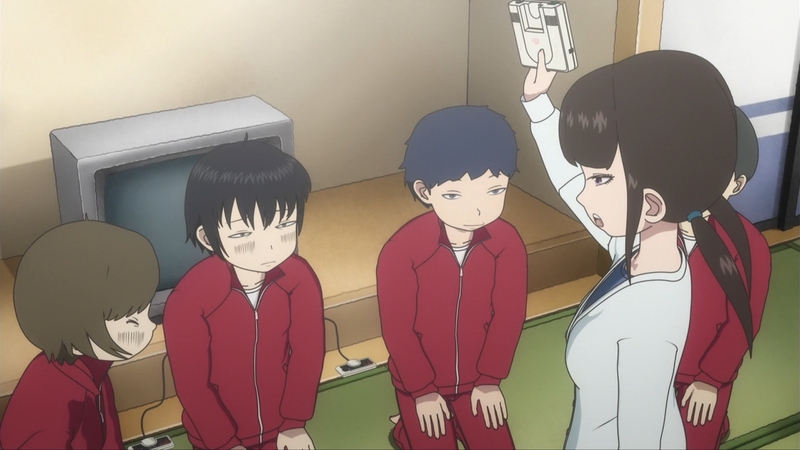 Haruo is specifically warned not to whip out a portable console and start gaming. So instead, he brought an entire goddamn system. This kid is incorrigible. 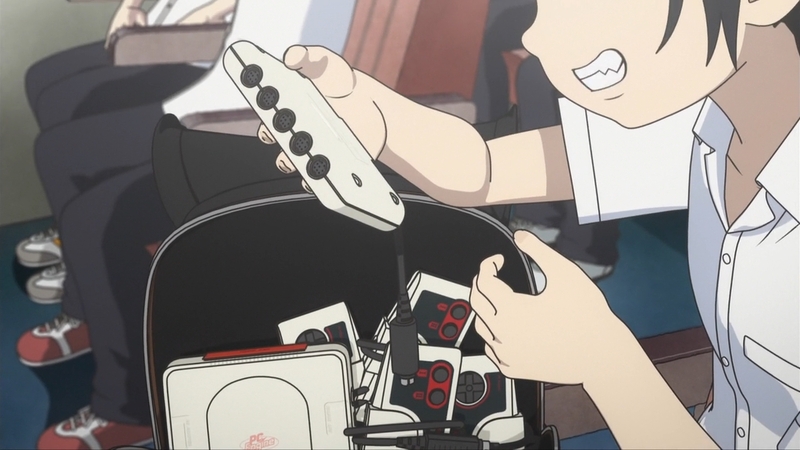 At least he was considerate enough to bring enough controllers for his friends. — “Even I know the appropriate time to play games!” You’re not fooling anyone, dude. — When Koharu tells him to just try and enjoy Kyoto, he starts thinking about the last game he played that took place in the city. 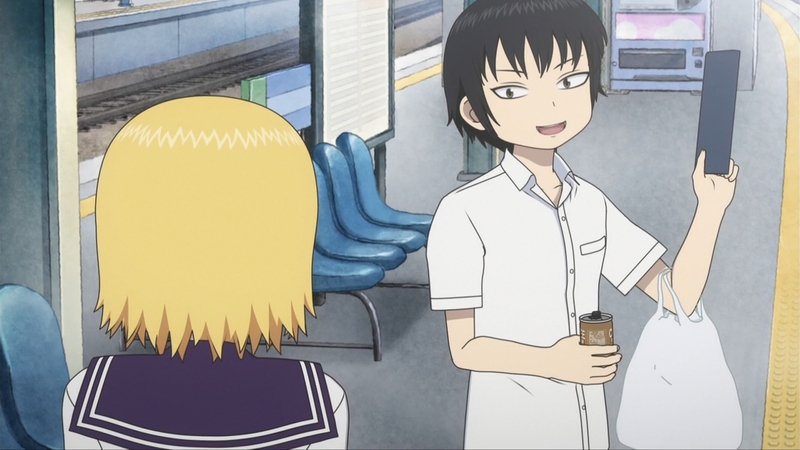 — During a brief stop, Numata, one of Haruo’s teachers, asks him to buy him a drink. The kid takes too long buying too many drinks. He’s trying to be considerate and think of others, but he just keeps shooting himself in the foot. On the plus side, however, Koharu now gets to spend some time with him now that they’ve both been left behind. — Still, those teachers are super irresponsible, don’t you think? Why wouldn’t you check up on your students two minutes before the train leaves the station? I think that’s just common sense. — If Numata really needed that drink, he just got screwed. Damn. 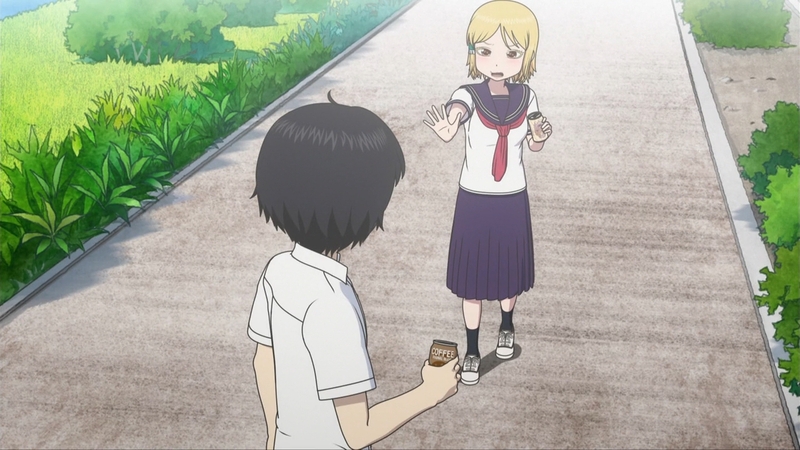 He gave Haruo a 5000 yen bill, too. 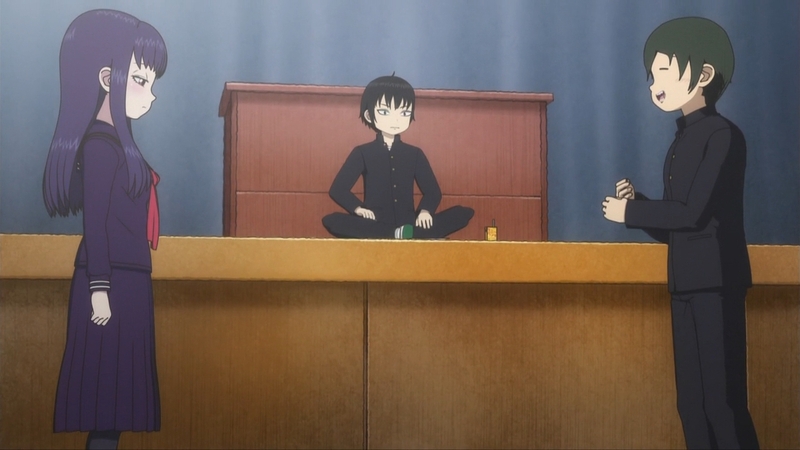 — Haruo’s so chill, though. Other than losing to Akira at games, nothing seems to worry him. Left behind on a school trip? Eh, whatever. Let’s just go sight-see! 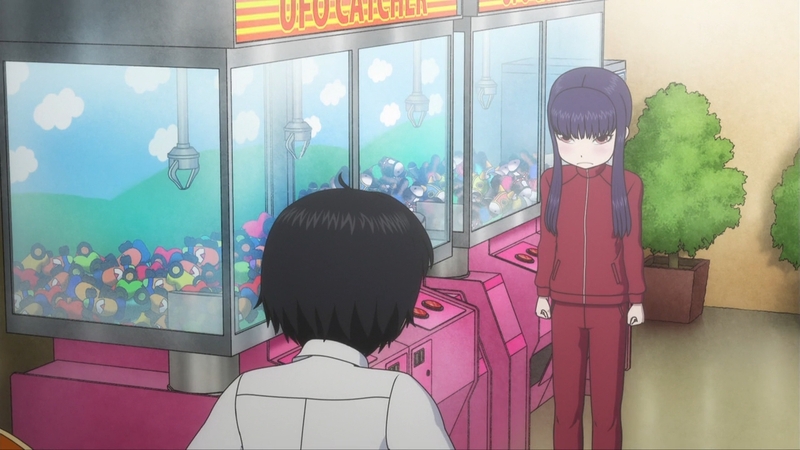 — Sadly, sight-seeing for Haruo is finding a hidden arcade that is also empty. Convenient for him, but not exactly ideal for the industry. And even though Koharu has been wanting to hang out with Haruo all episode long, she’s too angry at him to enjoy it at this very moment. It doesn’t help that he doesn’t understand her either. He doesn’t get girls at all. — Eventually, he suggests that they take scenic route and check out Lake Biwa. In doing so, they’ll eventually make their way to Kyoto if they catch a bus along the way. Haruo is a simple boy. Who else would be so impressed with a standard lake? — When he hands her a drink, Koharu finally comes around and starts fantasizing about how this resembles a date. She even accidentally blurts this out. Eh, it doesn’t really seem like a date to me, but whatever gets your hopes up, girl. — Koharu then tries to tell Haruo that she doesn’t mind being stuck with him, but he’s already gone off and found another hidden oasis in the desert. And by oasis, I mean more arcade games. Dude has a nose for games. He can sniff them out from a mile away. — He’s such a gaming otaku that he’ll enjoy anything. 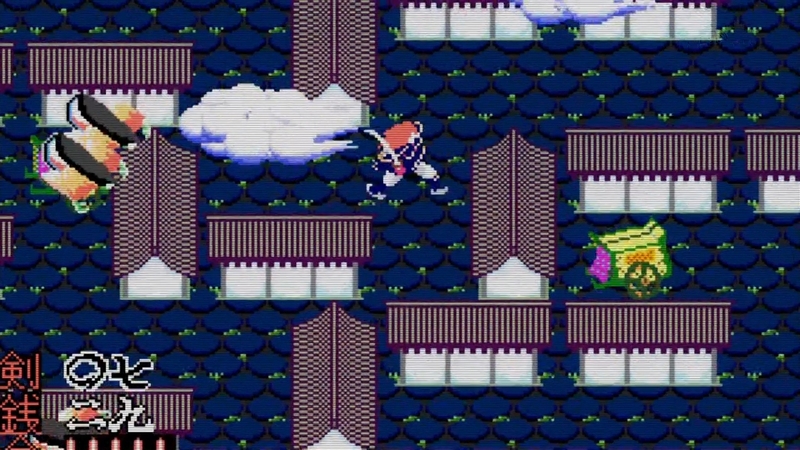 The thought of playing a game like this one bores me to tears, but Haruo is having a blast. And yet, it is this pure obsession to a singular thing that draws Koharu to him. Maybe she’s impressed with his fanatical love for gaming. Or maybe — just maybe — she wonders what it would be like if she could convince him to dedicate just a fraction of his love for gaming to someone… someone like her. — You could argue that someone like Haruo have a good chance at being successful in life, because they have the ability to be so passionate about a subject. You just gotta help point them in the right direction. 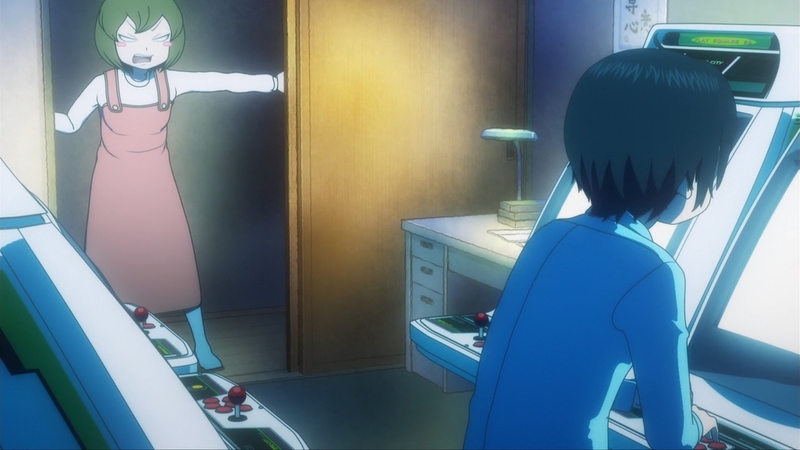 If Haruo loves gaming this much, he could either become a successful game developer. Of course, that would mean learning a lot of new things that might not seem so fun at first glance. For example, programming. — Games end up being a double-edged sword for Koharu. She can talk to the guy thanks to games, but that means they never actually talk about anything else that might be important to her. — Well, now he’s shared bus rides with two different girls. There’s a whole lot less feelings in this one, though. — Near the end of the day, the two kids finally make it to Kyoto. Koharu grabs his shirt probably because she’s seen or read one too many love stories. She wants him to slow down so they can spend more time together alone. She wants so badly for this to be a date, but it takes two to tango. 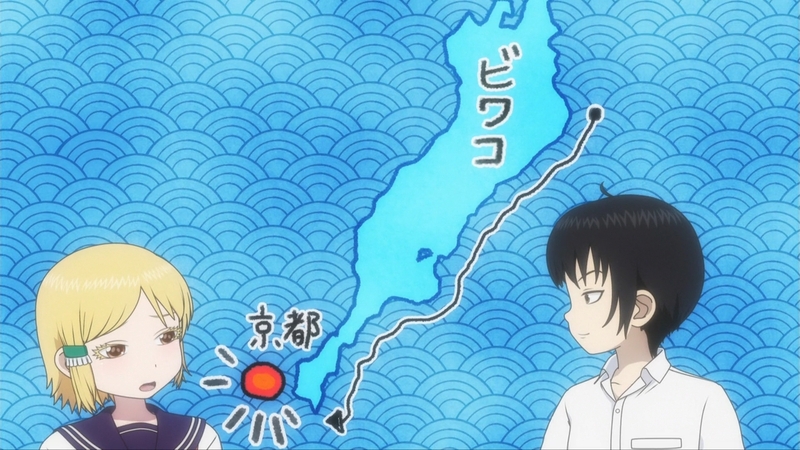 When it comes to the matters of the heart, Haruo is clueless. He’s especially clueless with Koharu, since he only ever obsesses about Akira. He doesn’t even have a clue how much the blonde girl cares about him. Haruo thinks that Koharu is scared of being scolded, so he assures her that everything will be just fine. Since the romantic moment is lost on him, the girl has no choice but to let go of his shirt. — Koharu has to be direct. She just can’t keep beating around the bush, because this is not one of those warm, fluffy love stories. The guy isn’t going to turn around and stare deep into the girl’s eyes as the world around them dissolves into pink sparkles. 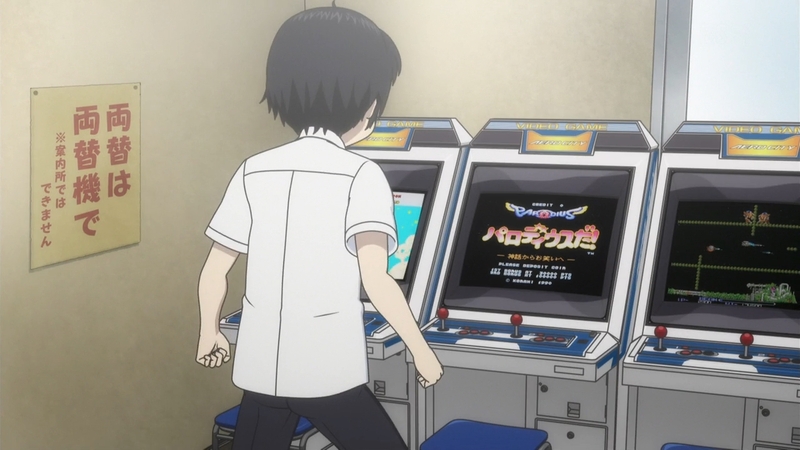 — Even the hotel has an arcade, and who should Haruo find there? Akira, of course. She even looks like she’s in a good mood… like she’s happy that he finally caught up with the rest of the class. 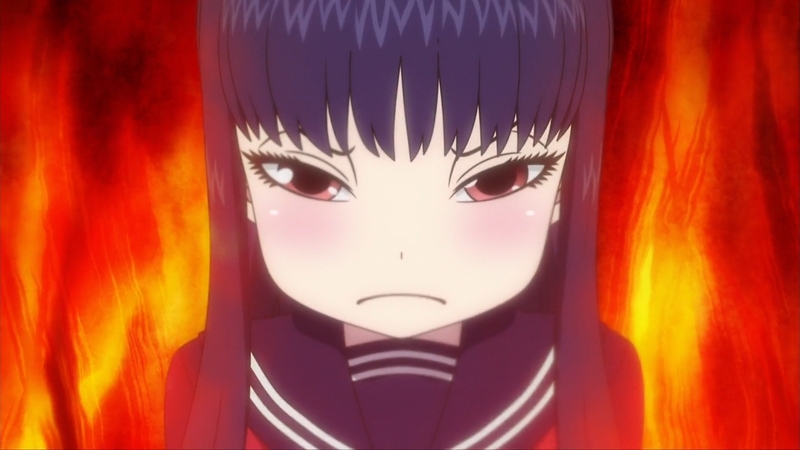 But her disposition quickly sours when he mentions being stuck with another girl — stuck playing games with another girl. 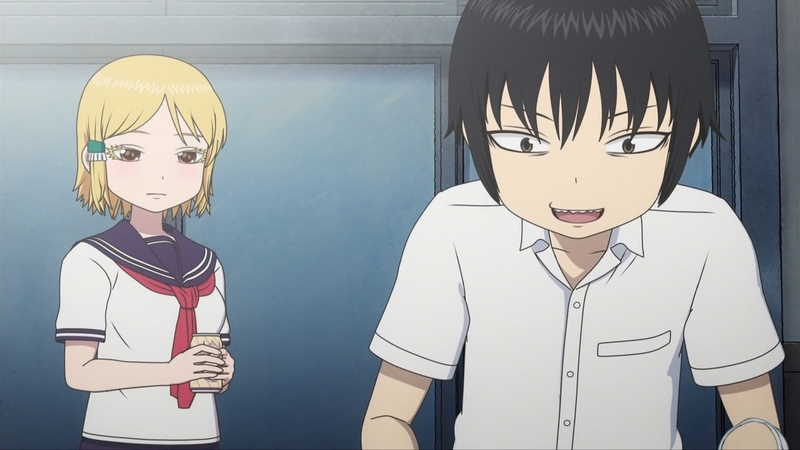 Hell, this is the same girl she had seen him hanging out with in earlier episodes. From her perspective, it sounds like he’s rubbing it in her face: “Oh man, you should’ve been there! You would’ve loved it! 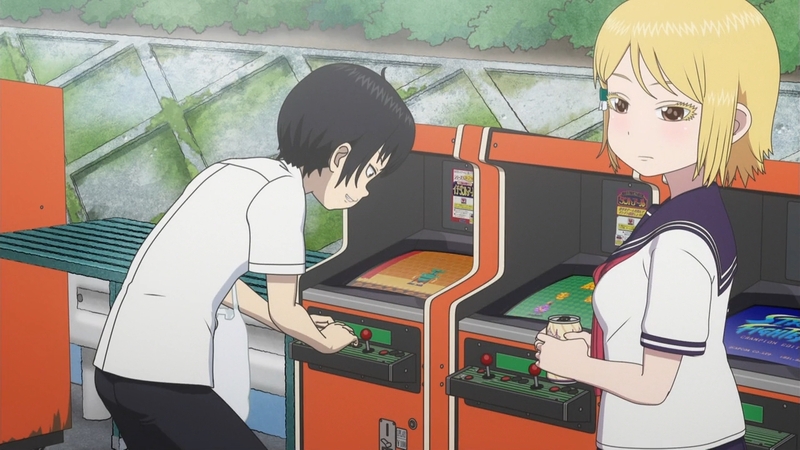 We played games for hours while you guys were stuck on a train because of a landslide!” For a guy who has two cute classmates pining after him, Haruo doesn’t get girls at all. He thus gets a face full of hair. On the plus side, this is mild compared to what she’s done in the past. — Just to make things worse, his PC Engine got confiscated. — Meanwhile, Koharu treasures that drink that Haruo had given her. It’s not even open. Despite everything, she’s happy with how the day turned out. 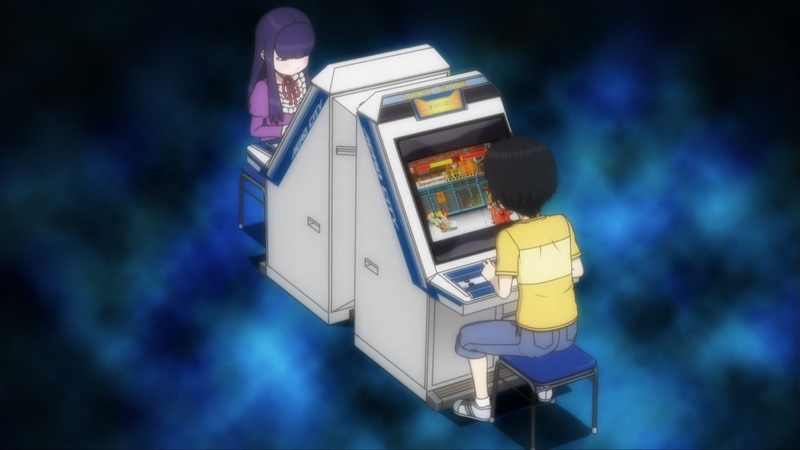 She didn’t get to play Final Fight with Haruo, but she did get to hang out with him anyways. Luck goes up and down like that. 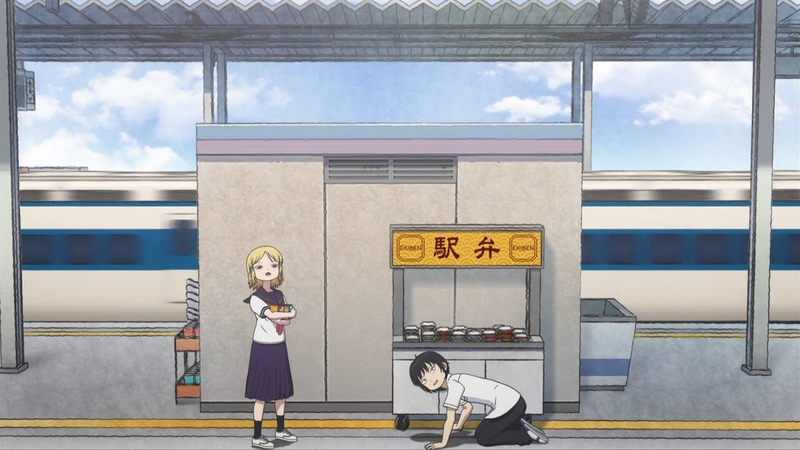 Whereas Haruo’s luck seems to have run out, things are looking up a bit for Koharu. But for how long? 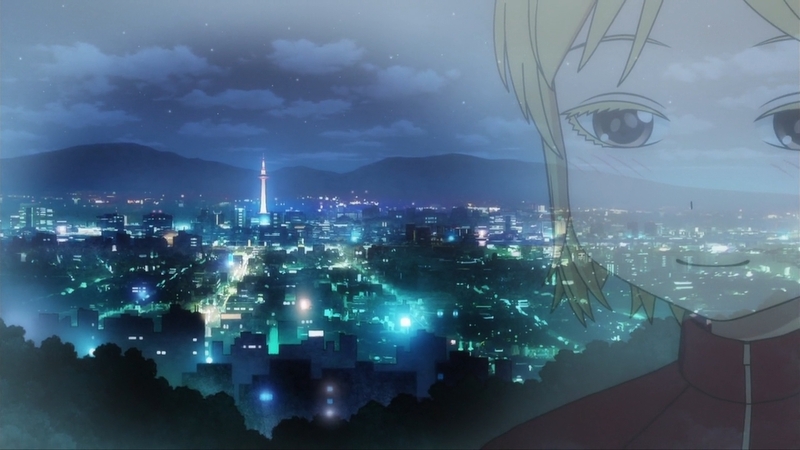 Plus, the more the show keeps trying to endear us to her and her quest for Haruo’s heart, the more painful it’ll be when he ultimately chooses Akira in the end. — The harsh truth is that their relationship didn’t really make any progress. I’ve been in her shoes before. After, say, spending all day talking to the girl I’m crushing on, I would then feel over the moon. I would try to isolate this one day out of my entire life so that I could treasure it forever. I’d wake up the next day full of hopes and dreams. But when you look back on these halcyon moments long after the dust has settled — long after you no longer have a chance with that person — you realize that nothing really happened. Nothing really brought you any closer to the person you care about at all. 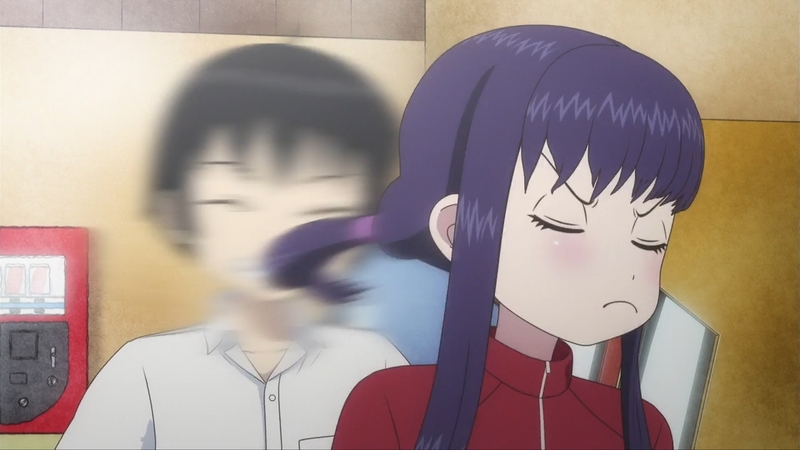 This anime has I guess improved from the last time I commented on it. 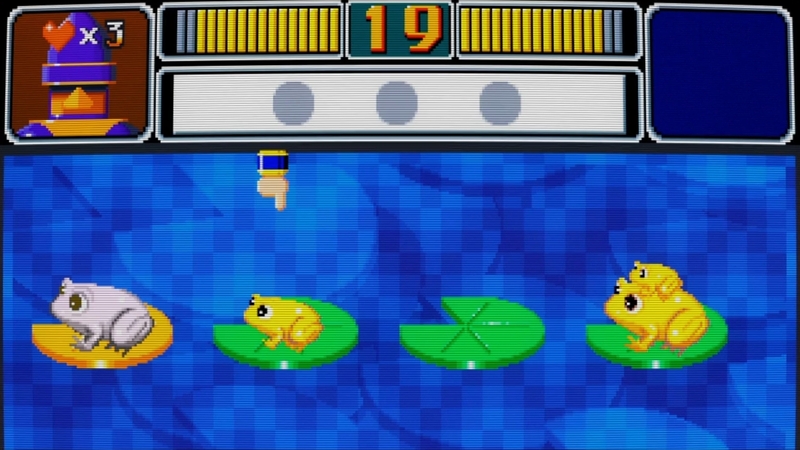 Hilariously, after it puts slightly less emphasis on all the gaming shenanigans. It’s still there, though. The romance is still the standard fare despite all the gaming shenanigans. It’s still sort of workable, so it’s fine I guess. 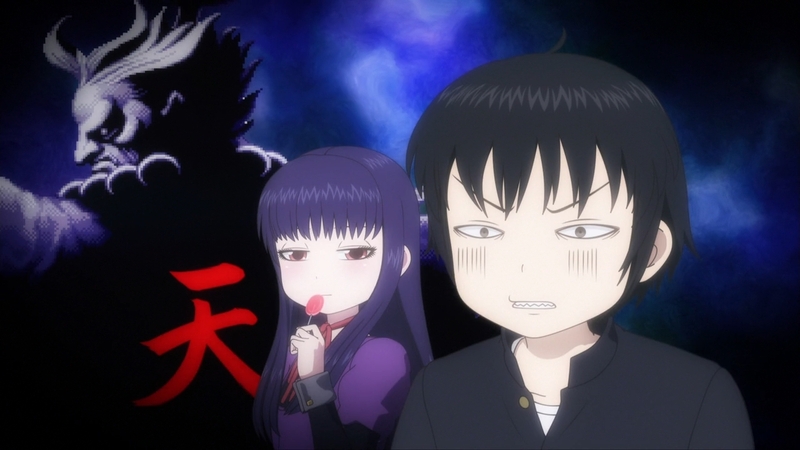 Like most romance anime, I don’t still understand why the girls love the protag, though. I guess I could kinda understand the Akira one. Even though, I think it alone should just lead up to close friendship than outright love. I think it needs more to be love. I don’t understand the Koharu one at all. Oh well, she is just there to spice up the story, so it doesn’t matter. I’m not a romantic-minded person, too. 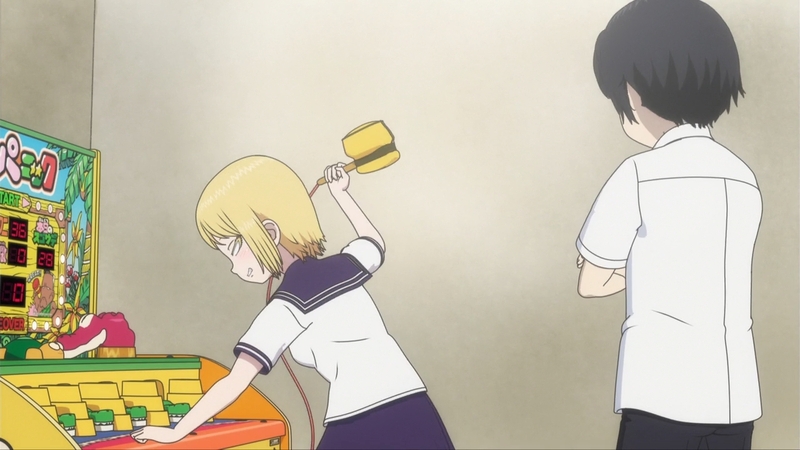 Koharu didn’t know how to have fun and relax, but Haruo did. This was how he caught her interest initially. 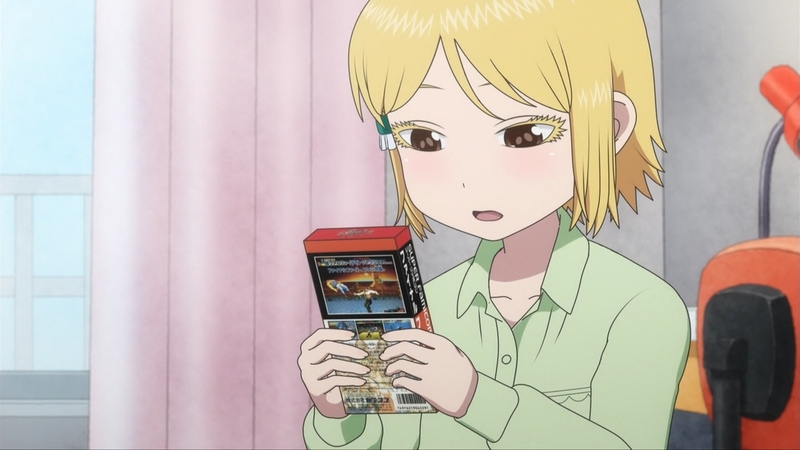 Then in this very episode, she admits that his diehard passion for games is strangely compelling to her. 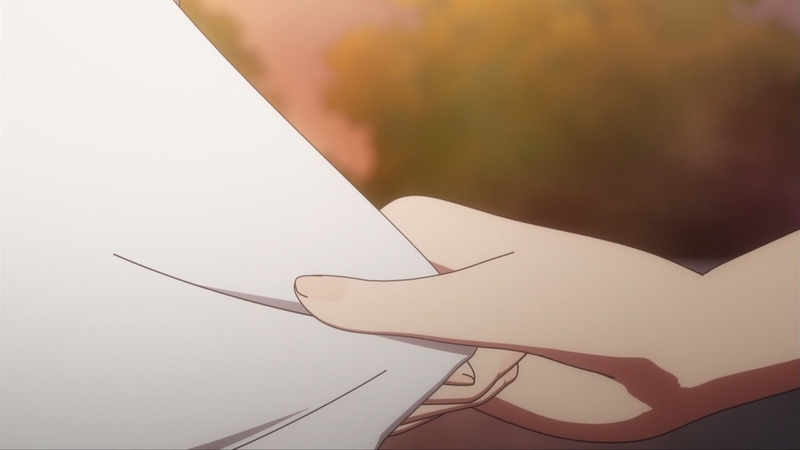 I guess, considering how Haruo treats everything related to Koharu, it is just not convincing enough for me. If their relationship has a bit more good chemistry I might buy it, but at the moment, it’s kinda ehh. It’s less the reason and more I’m just not seeing it. This is a subjective thing, though. There’s love and there’s infatuation. The latter is often not something that can always be rationally explained. You don’t have to be convinced.